Mike Hanski creates content strategies for Bid4papers, where he writes posts and researches infographics related to writing craft and lit. He shares his insights into how marketing psychology can be applied to visual content. After spreading its magic in 2015, visual content is among top marketing trends today. It’s everywhere, stimulating online growth and audience engagement for brands. 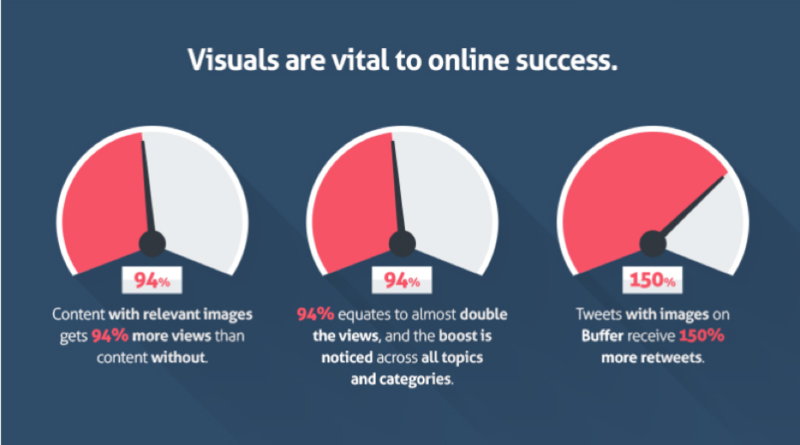 So, it comes as no surprise that most content marketers consider visuals required content for their strategies to succeed. But do marketers have a clear picture of how to use visuals to impact their reach, engagement, and sales? Why should you care about applying visual content to your marketing strategy? What makes people love visual content, and how can you use this love to take your marketing campaign to the next level? People are visually-oriented: 90% of information transmitted to our brain is visual, presentations with visuals are 43% more persuasive, and 65% of us are visual learners. In fact, 93% of all communication is nonverbal. Visuals attract our attention, enhance our emotions, and affect our attitude. Our brain processes visuals 60,000 times faster than text. 40% of people respond better to images than text. 50% of our brain is active in visual processing. 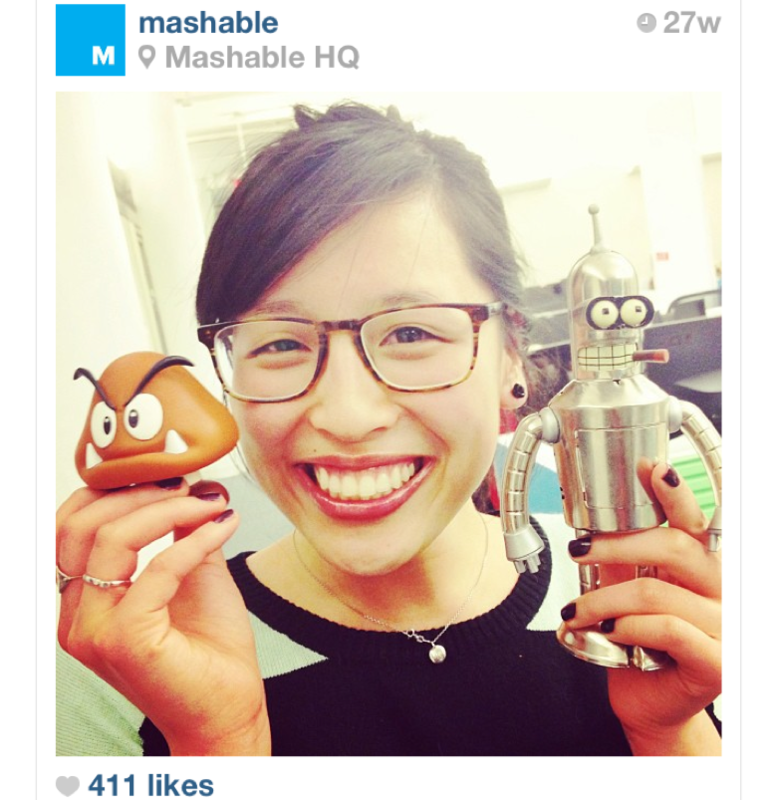 Visual content drives engagement like crazy, and this is nothing but simple psychology. Do you need any more reasons to dig deeper into the psychology of visual content to understand how to apply it to your marketing campaign? The human eye finds certain mathematical patterns particularly appealing because of their symmetry and beauty in proportion. Appearing everywhere in nature, they address the biophilia effect reducing our stress and increasing our focus and concentration. Positive psychological responses to images featuring particular math sequences are explained by the human eye’s and, therefore, brain’s capability to scan and interpret them faster, subconsciously recognizing them as an expression of perfection. The Golden Ratio and the Fibonacci Sequence are the top math patterns explaining the idea why visuals are so powerful in marketing and demonstrating it with the rule of thirds. 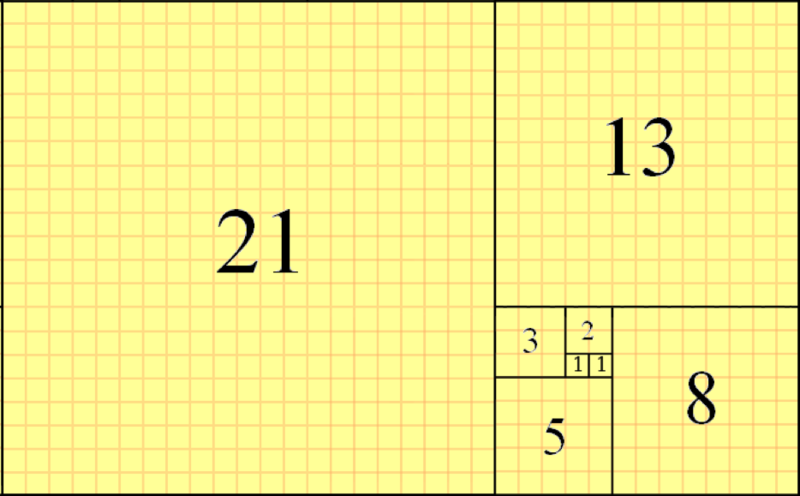 If you divide any number from the sequence by its forerunner, it will result in the golden number creating the Golden Rectangle, a shape present in arts, nature, and architecture. The golden number is 1.618. 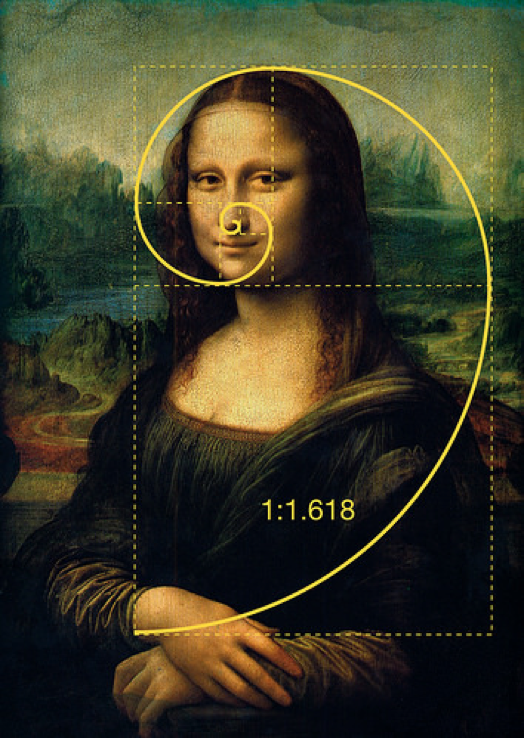 How do you apply the Golden Ratio to your visual content? Check if your image is golden. Divide the image’s width by its height. If the answer is 1.618 or 0.618, the image is perfect to use. For example, say you have a 647×400 image: multiply 647/400=1.617 and 400/647=0.616, which mean this image is perfect to use. Calculate the perfect size for your images. For example, say the height of your image is 350 pixels: multiply 350 to 1.618, and you will get the perfect width for the image – 566 pixels. Photographers know this rule well: it’s a method of composing image elements in a way to sync them with our eyes and, therefore, make them visually pleasing. How does it work? 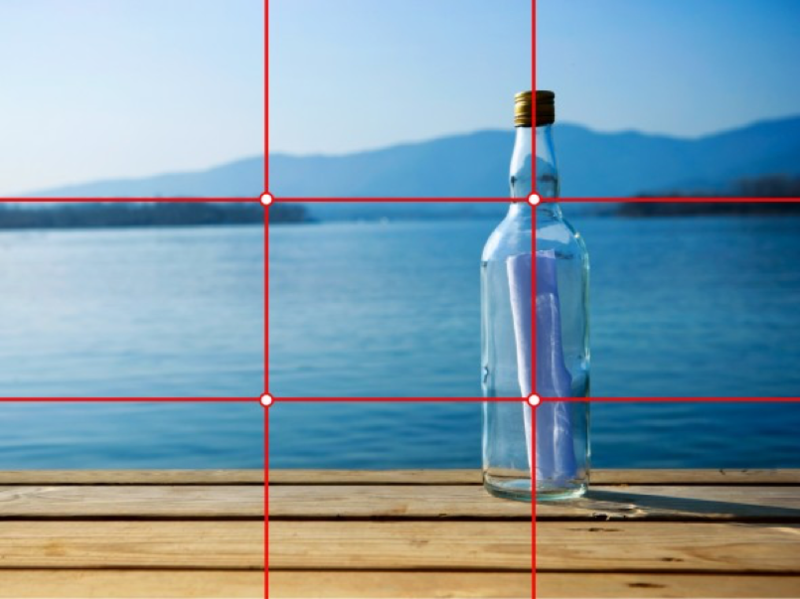 You divide an image into a grid of thirds, and their intersections are where to place key elements. Don’t allocate key elements in the center of your image. Basic color theory and psychology are significant for marketers to understand: colors influence our emotions and affect our actions, so they can help marketers stand out as well as negatively change the impact of their message. Colors influence consumer behavior and decision making. 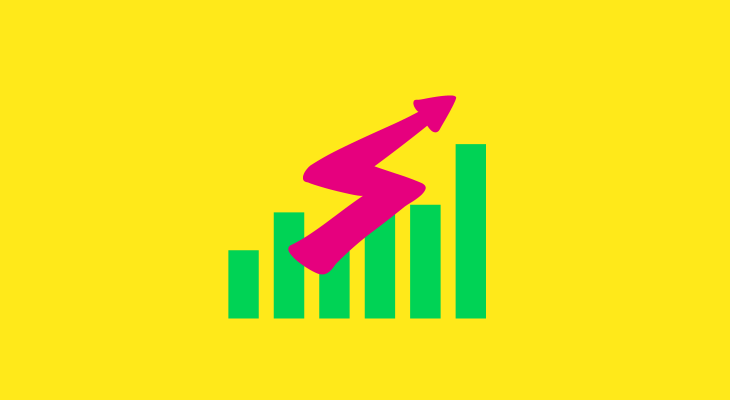 For example, WishPond reported a 14.5% increase in conversions after they changed the color of their call to action button to yellow from original green. Also, making two links contrast from one another with color resulted in a 60% increase in conversions. How can you apply the psychology of color to your marketing? 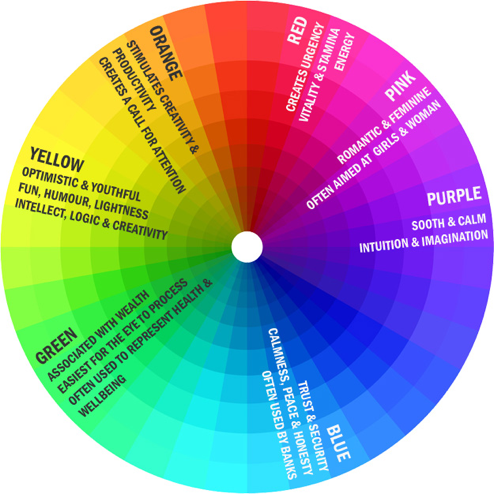 The choice of colors in visual content matters because colors have emotional associations. 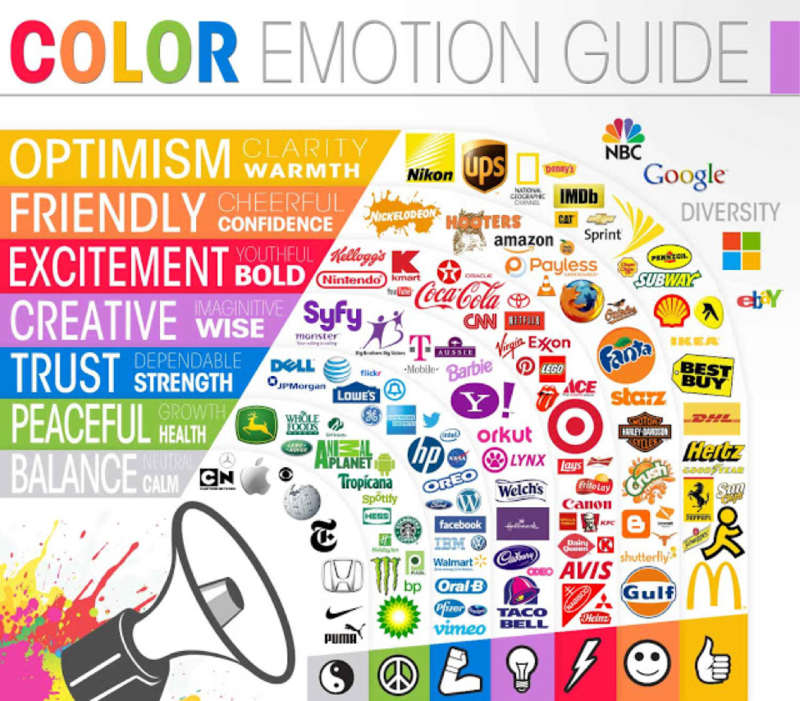 Use colors consistently to elicit certain emotions in your content. As for filters, they provide a sense of consistency and make your posts recognizable on social media. You can create color filters on Venngage using the opacity tool. Together with templates and photo filters, these two are among four visual design elements to portray your brand and influence its recognition. If you care about your brand’s personality, make sure to set your color palette. Visual content boosts your marketing strategy but doesn’t replace the written one entirely. So, you task is to find the right balance between words and images, and take care of typography because it determines the first visual impression of your texts. 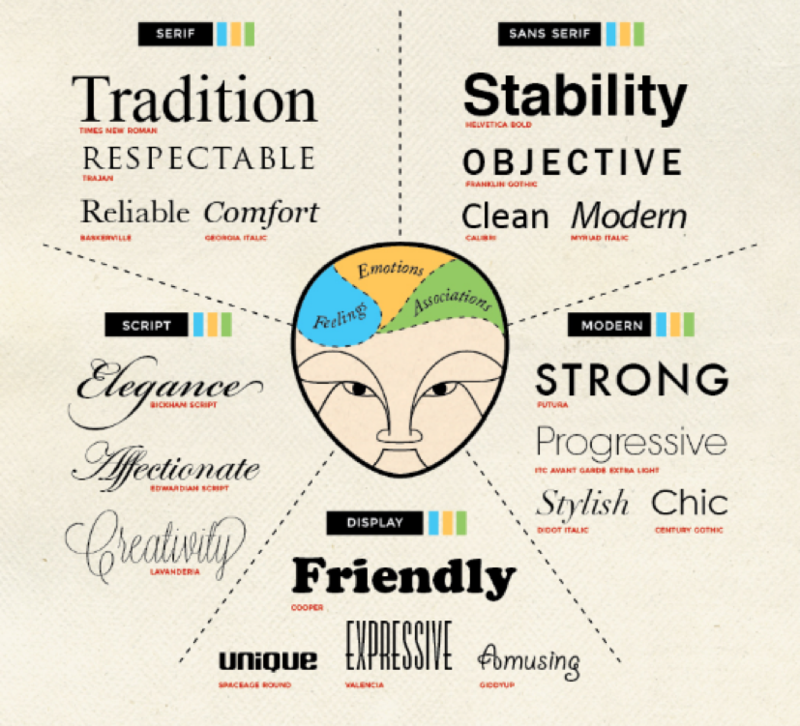 A font choice should reflect your brand’s personality, too. Don’t overplay: two or three fonts are maximum you can use to make your content exceptional; otherwise, they will distract your audience and make people lose your marketing message. Slab serif: strong, modern, solid. 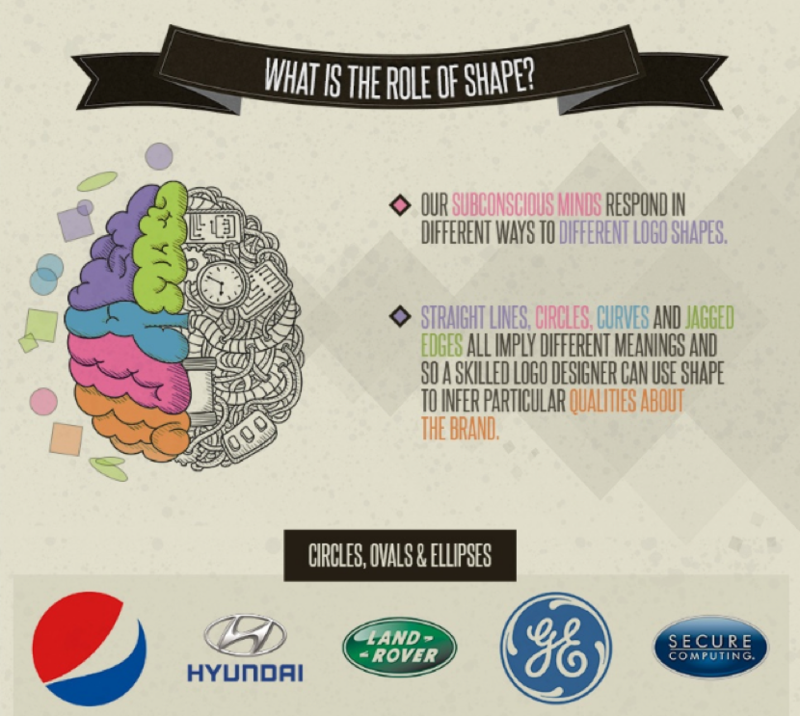 Our subconsciousness responds to shapes in different ways, and this is why brands pay attention to the design of their logos. To infer particular qualities about the brand, designers play with lines, circles, edges, and curves, implying required meanings to marketing messages. Circles suggest love, friendship, and unity. In contrast, triangles and squares are signs of stability, strength, power, and professionalism. Vertical lines signal about aggression, while horizontal ones suggest calm and community. Don’t use more than three different font sizes because the human brain finds it easy to grasp threes: the more fonts you have on a page, the more confusing it becomes for a person to read what you are saying. One font for the header, one for subheadings, and one for the text body work best. Some experts argue 16-pixel font is the best size; however, the best decision would be to maintain appropriate line height and length for different screens sizes to improve the reading experience. 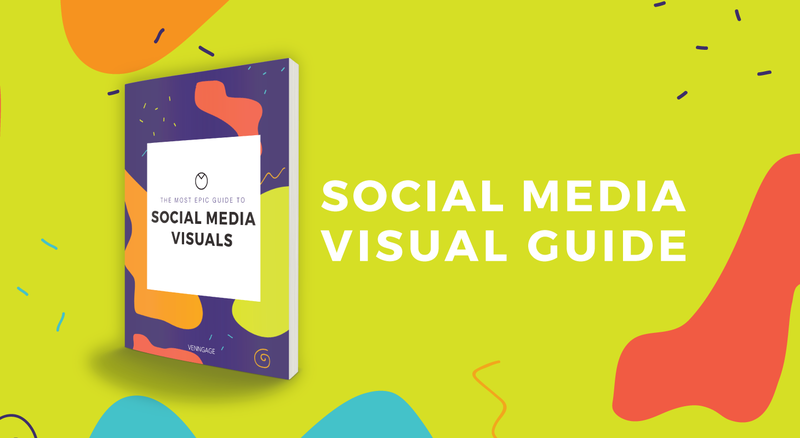 To take your marketing campaign to the next level, make sure you use all must-try types of visual content. As you already know, posts with images produce 180% more engagement and 94% more view rate. With that in mind, a marketer needs as many free image sources as possible to make the content flourish. Besides, you can do your best and try customizing images to your project. With numerous browser-based photo editors, you can turn standard pictures into appealing visuals. Adjust the color to a pic. Change the shape of a pic. Also, Laundry Service found it would be worth trying Instagram-style photos instead of stock ones for better results. You might want to check if it’s so. Physiologically, our eyes focus on something both pleasant to see and simple to understand. Suffering from information overload, people respond to infographics better because of the feeling they can easily understand difficult things. 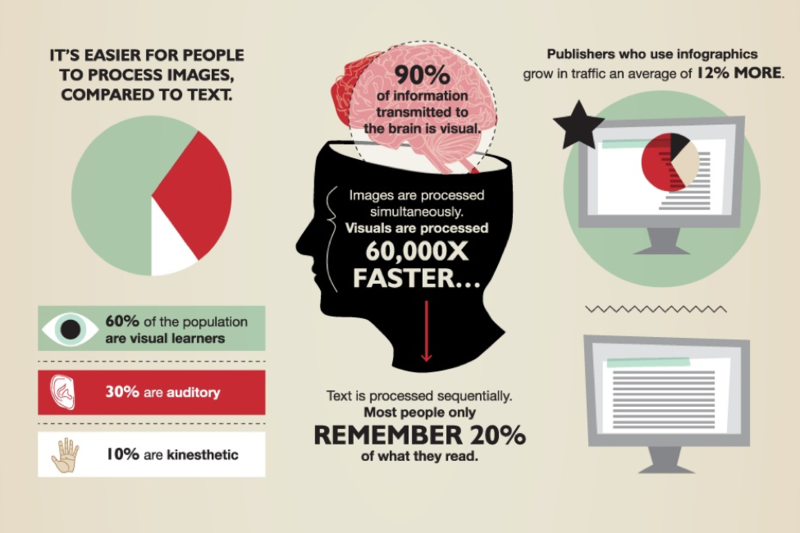 Infographics increase the willingness to read by 80%. They are more accessible and persuasive, and they are easier to recall. 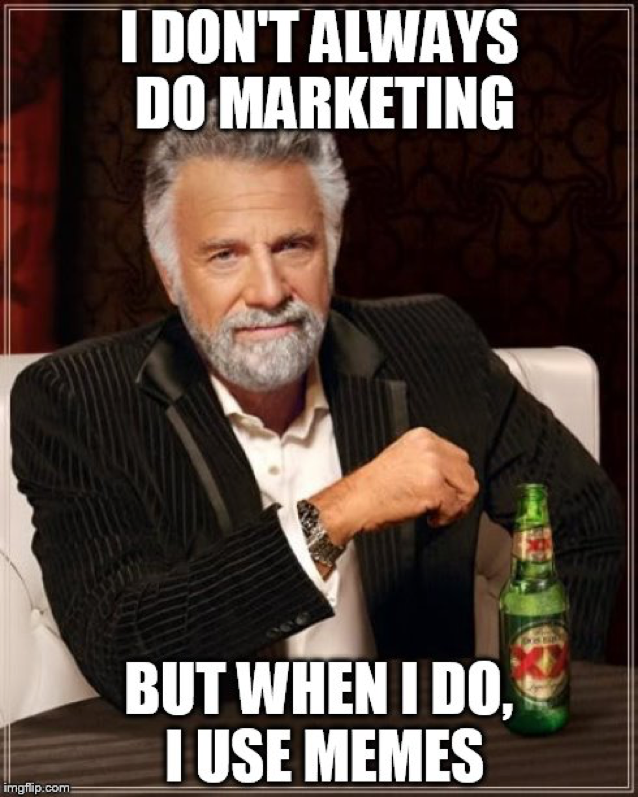 That would be a reason why 60+% of marketers uses infographics to boost their campaigns. Great infographics tell a story with minimalist imagery, allowing you to convey the message with no distractions to the eye. Stick to a three-color palette. 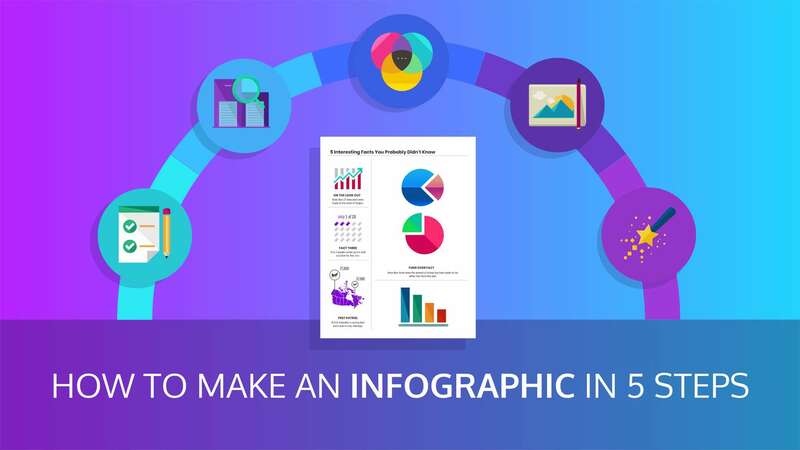 Place a text in the middle instead of the beginning of your infographic. Use typography to set a tone to your infographic. We all know what memes are. These images accompanied by humorous captions are perfect for visual learners who help your content go viral. The psychology behind memes is simple: they lump cultural entities, neglecting the variety of mental representations, which makes them easy to understand. Memes demonstrate how the human mind represents concepts, images, and emotions. It’s a universal form of communication, spreading ideas and behavior throughout a culture. Though some experts don’t recommend using memes in your marketing campaign, this type of visual content is widely used by brands to increase engagement and encourage communication in social media. Memes don’t require graphic design skills. Use Meme Generator, Meme Crunch, or Quick Meme to add texts to popular meme images. Videos are not the cheapest type of visual content, but they are extremely effective. A study from Moz showed posts with videos got about 300% more backlinks. According to a survey by MarketingLand, 71% of respondents say video conversion rates outperform other marketing content. What does make people “eat” videos? Suspense, instantaneousness, and FOMO run the show when it comes to live videos. Also, videos evoke stimuli such as self-identification, passion, and connectedness with what happens on the screen. 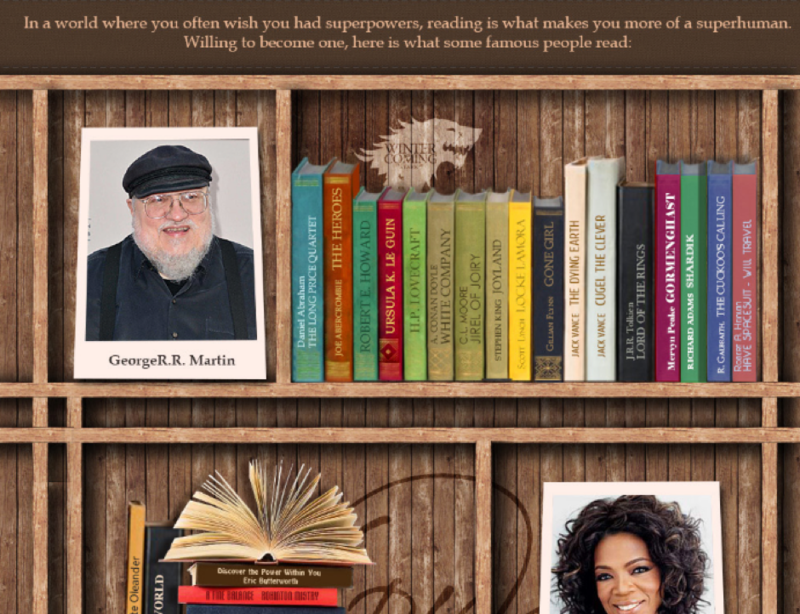 It’s easier for us to become emotionally attached to something we watch rather than read. You are welcome to consider various types of videos: testimonials, animated explainers, how-tos – they all will enhance your campaign if they are of high quality and represent your brand on point. 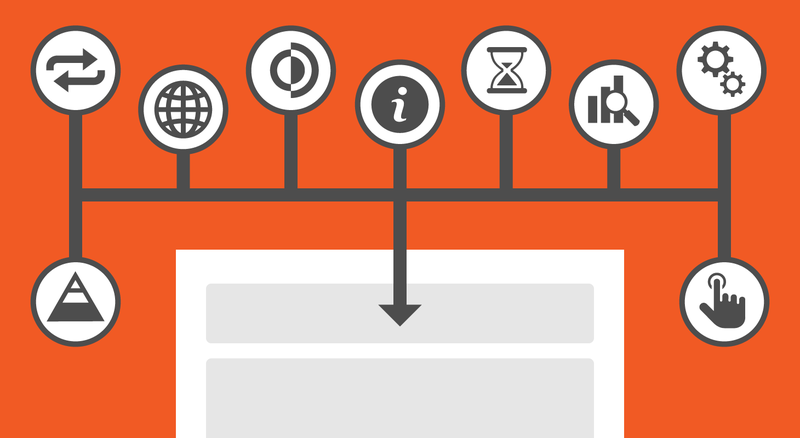 As well as infographics, presentations focus on design to draw readers into your texts. But unlike infographics, they can have a greater scope and include tons of information to share with the audience. 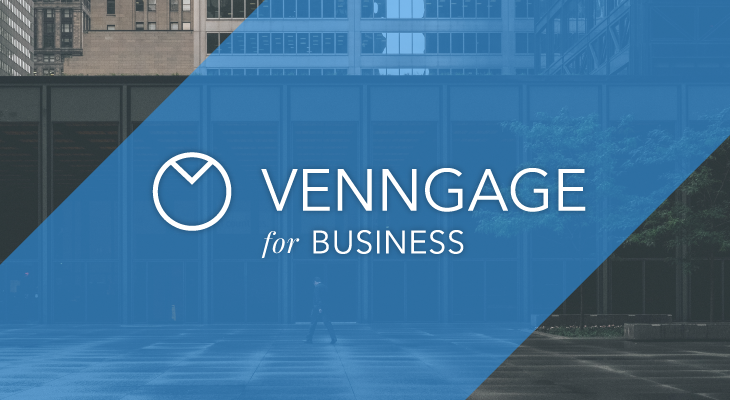 On average, users read 28% of words per visit. Dividing content into blocks and presenting it via slides increase its readability and make people believe what they are reading (67% vs. 50% reading w/o pics). Use websites like SlideShare to expand your marketing campaign. Pro presentations entertain and provide users with actionable pieces of advice, letting you communicate to your audience as well as inform them. Be consistent with fonts and colors. Visual content is king today, and most marketers have changed their approaches to content creation with that in mind. Visuals draw the attention of visitors, increase their engagement, and help content get ranked. Marketers understand that high-quality visual content resonates with people and impacts public awareness of their brand That’s why it’s important to understand the psychology of visuals to have an impact on engagement and sales. What visual content do you use in your marketing campaign? Do you consider psychology when deciding on types of visuals to apply?